Meghamalai (Cloud Mountain) is an ethereal abode located near the Theni district in southern India. I visited the first time in the winter of 2013 when her terrain had been dipped in the sun after being soaked in the rain. 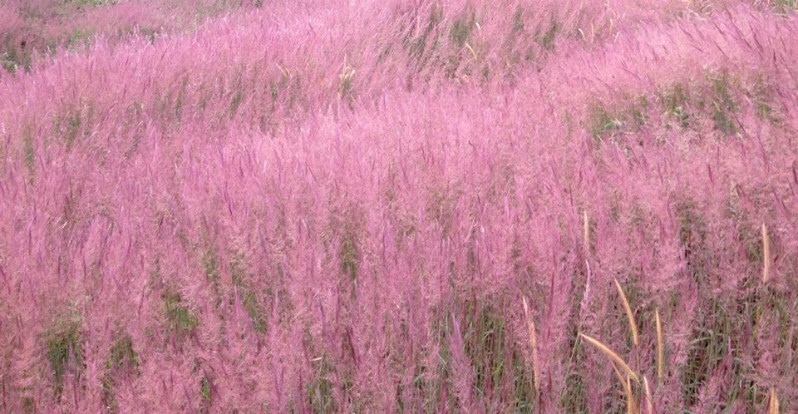 She spray-painted her hips at dawn, bearing hues of pink and browning gold, like the many cinnamon farms she was home to. By night, she was a haunting anecdote as told by a narcoleptic damsel. Meghamalai had a hold on me during the winter of 2014, as well. I went on a trek along the Tamil-Nadu border. I was hoping to spot the Great Indian Hornbill andSalim Ali’s Fruit Bat (one of the rarest in the world). I found neither. I did find enough reason to fall in love with her terrain again. This time around, she dressed herself in shades of tea-leaf green, sweating yellow like a sleepy sun. She has fascinating collection of fauna, including a variety of birds. Most of them however make the core zones of the forest their regular habitats. You can use influence or throw around large wads of cash to get things done here like any other place. But these are self-centered and toxic things to do. You may end up spotting a sought-after mammal, reptile, insect or bird. You may even be an eco-friendly person with charming and harmonic disposition about life. Still, you are likely to cause damage if you enter a terrain that you are neither familiar with nor trained for. You may have unknowingly empowered poachers to use financial influence and scout the area for hunting. The Forest Officers, at least those in Tamil Nadu, are underpaid. Considering that it is also impossible to gauge what human beings would do for money, it makes for a bad combination. After all conservation, of any kind, depends on how selfless the people working towards it are. In my two trips, the only major sighting for me in these parts has been a juvenile Grizzled Giant Squirrel (although I could be wrong since it is difficult ID the young ones). An endangered species that has its own sanctuary here. I have also spotted Grey Langurs and Indian Porcupines in the foothills and Nilgiri Langurs at higher elevations. In 2014, I even caught a glimpse of an alpha Sambar Deer skirting across the road to the forest. I was so in awe of him, and having always been a butter-fingered buffoon, I dropped my camera and just stared at him. When I came to my senses, all I could photograph was a shot of his magnificent posterior. 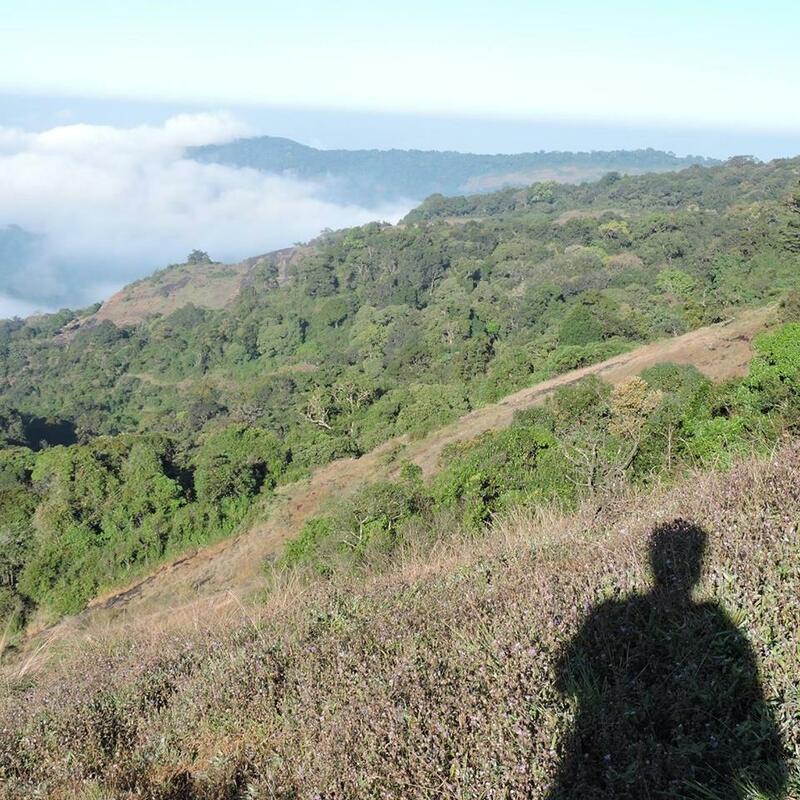 I went for birding in Meghamalai only the second time around. Weather had played spoilsport and I ended up seeing a few Bulbuls, Shrikes, Flycatchers and Raptors. As breath-taking and peaceful as this place is, it is important to plan your travel with a hint of caution. The road from the foothills to the first Forest Department check-post is deceptively acceptable. After that, thick mud and rocks are all that the wheels screech under for the rest of the time. Once you reach the tea estates though, a half-eaten road will lead you to town. One would be well-advised to travel in a jeep, a minivan, a lorry or a bullet. Buses may not be the best option if you aren’t used to bumpy uphill drives. Luxury cars have been known to pass through the route, but it is a chance better left for those without a choice. From the Theni district, no matter which side you are coming from, there are plenty of tourist hill-stations nearby. Kodaikanal, Vagamon and Munnar are just a few. Meghamalai has tourists like people have meaningful epiphanies. There are few and far in-between. The road to her is certainly one that is lesser taken. There is ecstasy and warmth in being close to her heart; one that doesn’t have many takers only because of how wildly it throbs. Great pics! I literally saw the place more by the words than the pics. Such a lovely thing to say, thanks Sandra! You have outdone yourself with these photos. I really want to visit this place! 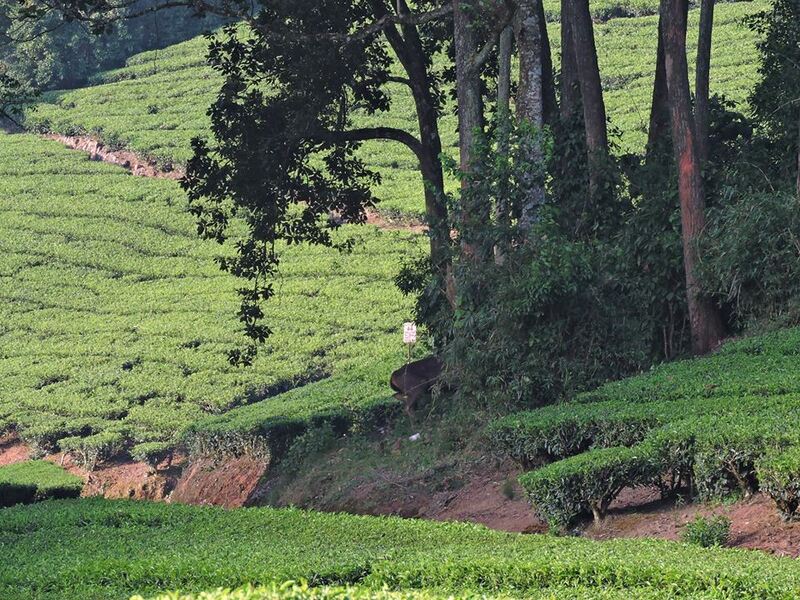 The shrubs of Meghamalai…are these planted for human use, tea leaves or something like it? I love the wildness otherwise. Sad to think that poachers may enjoy as well. Nice to see you (your shadow?) this morning, my friend. There are wild, unshaven shrubs as well those specifically planted in tea plantations (not cool yeah). Aww I just point the camera and click, Shannon. The landscapes and birds do most of the work. Maybe it will work out that megamalai finds you somehow! And yes that’s my deceptively long shadow. Giggles.